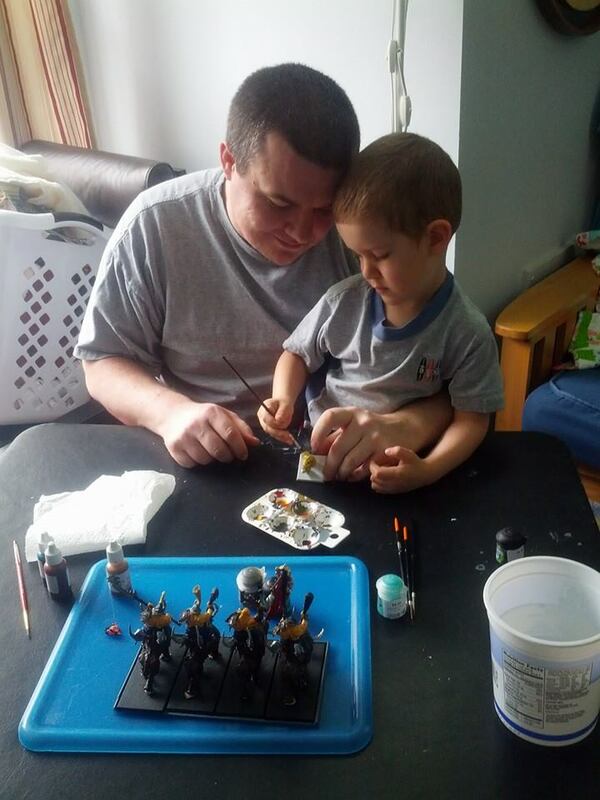 Sunday afternoon we were having a family craft day and my little boy kept wanting to “help” me paint the Mournfang Cavalry I was working on. I kept having him shake my bottles of wash which is something he likes to do while I paint, but he kept grabbing a spare brush and wanting to participate. 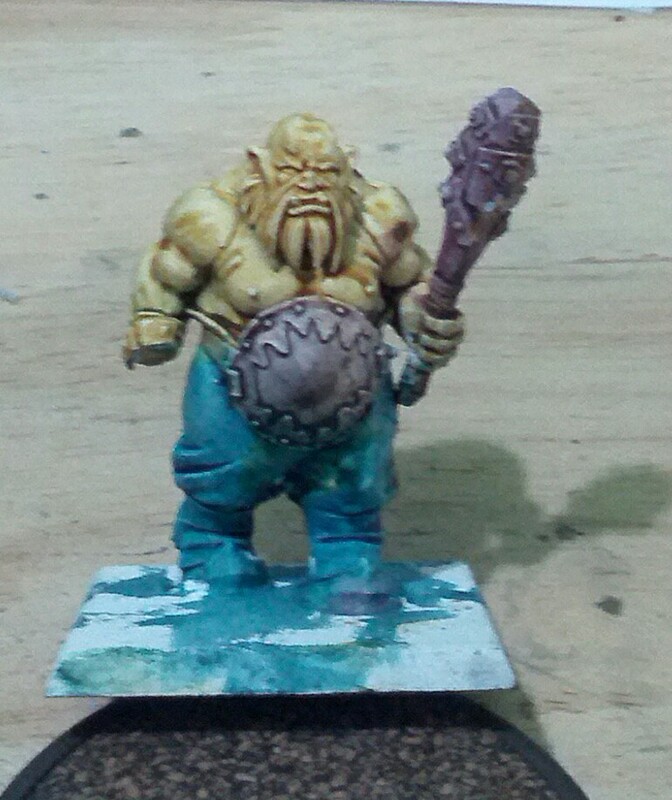 I set aside the Mournfang and got a spare ogre model that was primed white. I then got a couple colors of wash and helped him paint his first mini! It was done all with washes and I would just point to an area with my brush and he would then paint with his. He of course went crazy a couple times as a three-year-old would, but overall did an impressive job. It actually made me think you could probably paint an entire army in a couple days using nothing but washes. The metallics might be a little difficult, but a quick drybrush could take care of those. I can’t wait for him to get a little older and get his first army to play with his dad, and I especially can’t wait for when he paints well enough for me to outsource my painting to him.